Showcase your artworks with style. 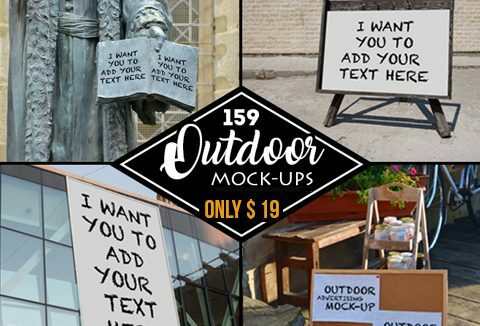 Today's deal gets you a unique collection of 159 outdoor advertising mockups bundle. Ensure the success of your ads by giving a realistic & unique touch. All mockups are based on real city photos. All you need is Adobe Photoshop CS4 or higher. Just open file, replace your own design to smart object layer and you will get the realistic and high-quality scene in seconds. Give your outdoor advertising a realistic and unique touch in minutes.